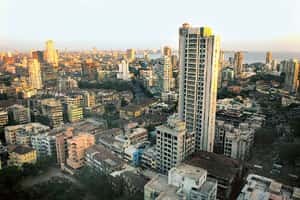 Mumbai: The repeal of the Urban Land Ceiling Act (Ulca) by the Maharashtra assembly on Thursday will benefit new township developers in a big way. But the profits of developers who had invested in townships on the basis of the old law might take a hit. Precious property: The Mumbai skyline. Developers who built townships based on the old law are expected to take a hit on profits, as exemptions were granted on condition that they develop basic infrastructure. Existing developers will have to compete with new realtors who will not only benefit from buying land at softer prices following more land being available in the market but also have the benefit of the local government taking on the cost of infrastructure such as roads, water supply, sewage lines and electricity distribution lines within townships, said Kumar Gera, chairman of Confederation of Real Estate Developers Associations of India, a lobby representing real estate developers. The cost of new infrastructure could make a difference of up to 20% of the project cost, he said. According to a recent report on integrated townships by real estate consultant firm DTZ, 12 townships are being planned in Mumbai and Pune on a total of 8,053 acres. Typically in Mumbai, land costs are between 50-80% of total project cost depending on the area, with the interest costs an additional 12-13%. Across the state, about 17,000 acres of land is expected to be released into the market on account of the repeal of the Act. While upmarket locales in Mumbai such as south Mumbai, tony suburbs such as Bandra, Khar and Santa Cruz have little vacant land, the repeal is expected to trigger development in surburbs, such as Kandivali and Malad in the west where land lies vacant, and Thane and beyond among the central suburbs. It would also release land in tier II cities such as Pune, Nagpur and Nashik. Many planned townships are likely to benefit from the repeal of the law as they are still at the clearance stage, said Anuj Puri, chairman Jones Lang Lasalle Meghraj, a real estate consultancy firm. Under the state’s laws, developers were granted exemptions to build on land meant to be acquired under the Act, if they promised to develop basic infrastructure in the area. “The newer townships will benefit from softer land prices and quicker take-off time. This could put pressure on the (existing) developer’s margins in two ways: his own costs will remain at previous levels while his neighbour’s will have come down. But he will still have to compete to give a better product," said Puri. Still, the existing townships will benefit from the repeal as the developers no longer have to wait for government clearances, shortening project execution time by as much as year and saving on interest. For instance, Mumbai based developer Housing Development and Infrastructure Ltd’s (HDIL) new township at Kharadi on the outskirts of Pune will be completed six months to a year ahead of time. “That will be a saving for us as the time lag between buying land and getting ULC clearance was around six months to a year," Hari Pande, HDIL’s vice-president for finance, said. He declined to detail savings. A 127-acre township, part funded by New York-based realty fund Trikona Capital in the suburb of Thane, is expected to be completed early. Developer Keystone Realtors Ltd will still have to invest in amenities such as roads, sewage, water and electricity lines, which experts estimate would be around 20% of the project cost. “My project will be completed a year ahead of time and my returns will come that much sooner," said Mahesh Gandhi, Trikona president.